You have heard the expression that you never get a second chance to make a first impression, well nowhere is that more critically important than with the appearance, or curb appeal, of your business. 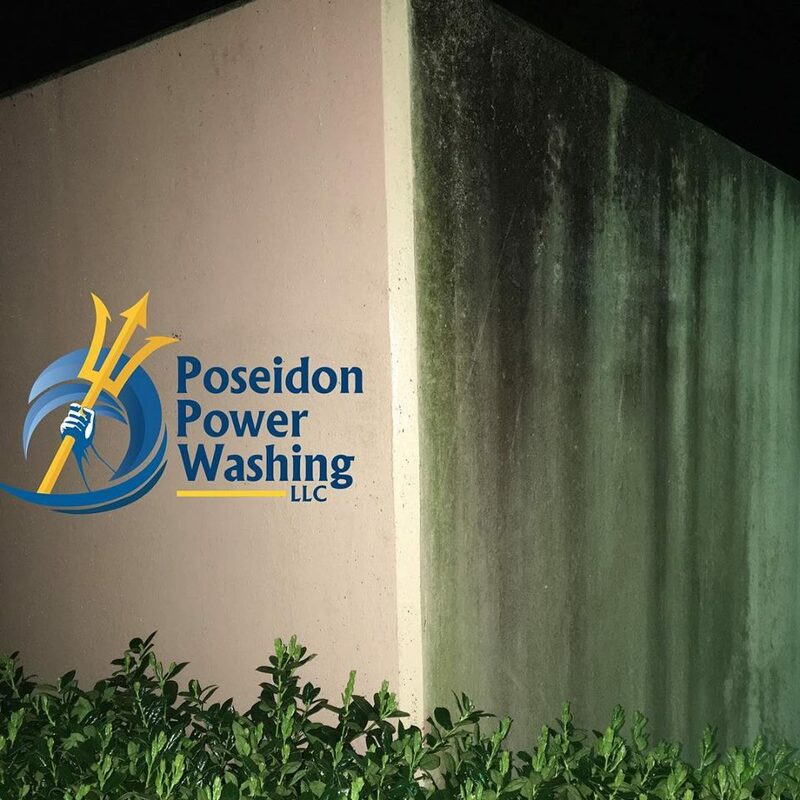 Which is why Poseidon Power Washing offers comprehensive building washing services, to make sure that your building is helping your business put its best foot forward! From the roof to the ground your building will look great and be a positive reflection of your company! We deliver results that will keep your commercial building looking great month after month! 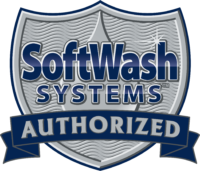 Unlike high-pressure alternatives, our soft wash building washing won’t damage your siding or landscaping! As the “face” of your business, the exterior of your building can make a difference in the public perception of your brand. No business wants to greet potential customers with organic stains and mildew outbreaks on the side of their building. 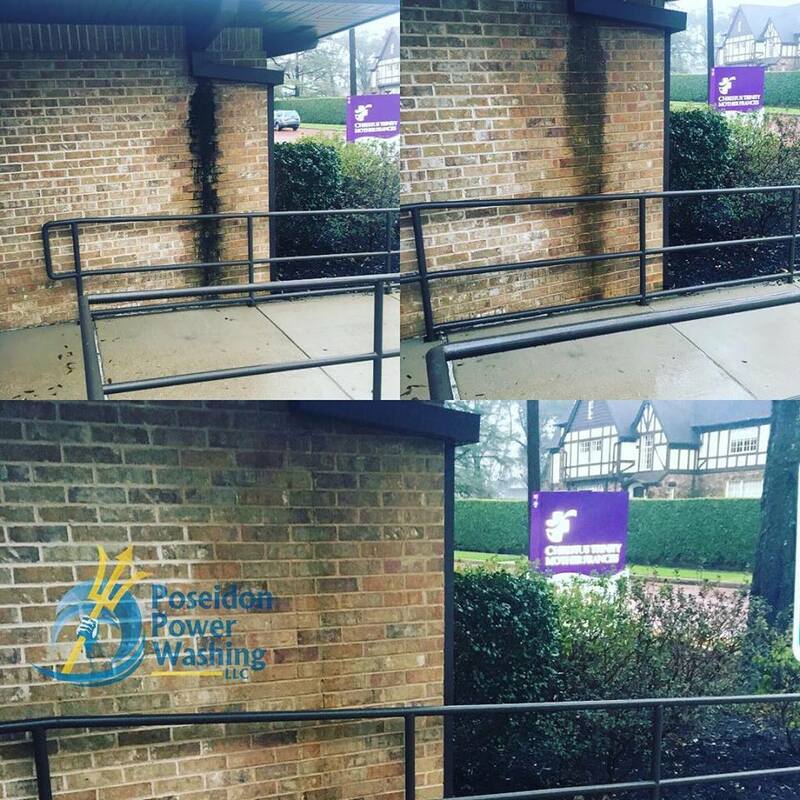 However, the climate in Tyler and all of East Texas doesn’t always make it easy to maintain the great looking exterior that you want your commercial property to have. The mild, humid weather we experience is an ideal habitat for mildew, algae and other contaminants to thrive, while the powerful storms that we get whip your building exterior with dirt, grime, pollen, and dust. It all combines to create an uphill battle when it comes to the cleanliness and curb appeal of your commercial building. 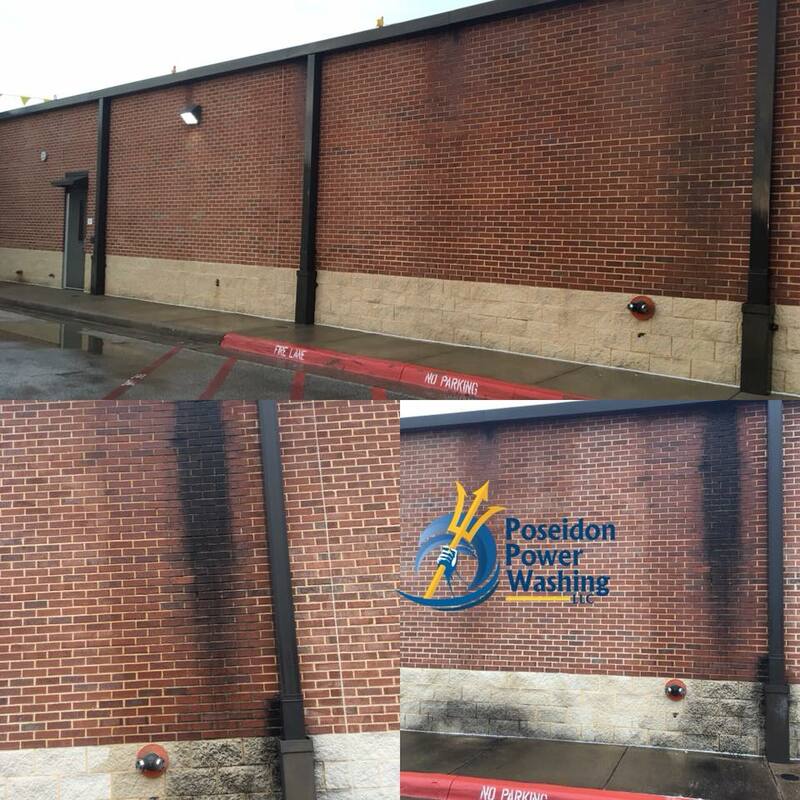 At Poseidon Power Washing we understand just how valuable your building is, which is why we use the soft wash method for cleaning the exterior of your commercial building. Whereas high-pressure techniques can cause expensive damage to your siding, windows, and landscaping, our soft wash building washing is safe for all types of siding. We use specially formulated, environmentally friendly cleaners to completely kill off mildew and algae while breaking up years of built-up dirt and grime. Then using the same amount of pressure that you can get from your garden hose, we rinse them away. The result is a building exterior that looks like new! While our soft wash building washing service delivers amazing aesthetic benefits, it is also a form of preventative maintenance that shouldn’t be skipped. Having the exterior of your commercial building periodically cleaned inhibits mildew and other contaminant growth, blocking their ability to cause damage to your building materials. For a fraction of the cost of expensive repairs and replacement, the exterior of your building will not only look great but it will also last much longer! Whether your exterior is vinyl, brick, stone, wood or some other material we have the expertise and equipment to restore it back to a like new condition!